Getting ready to plan a birthday party? Host your next party with Infinity!! 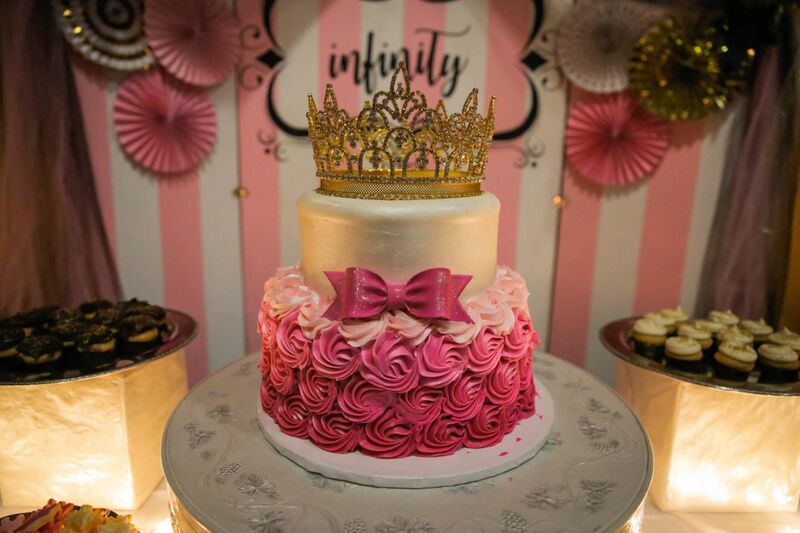 Infinity offers birthday parties for ages 2 - teens!! 1 hour of gym time including gymnastics and cheer instruction, obstacle courses, and games with our amazing party staff, followed by 30 minutes in our party room for treats and presents. All children under the age of 2 must be 100% supervised by a parent. All children 2 and over, including siblings, will be part of the party count. Contact info@infinityallstars.com for more information or to book your party with us!! Deposit: A 50% deposit will be due at reservation and the balance will be due on date of Party. You will be able to pay your balance at anytime before your party date. Reservations: Once your reservation has been approved you will be contacted by our Birthday Director to make sure everyone has the details. We will also contact you a week before to get a final/estimated head count, any add ons or details needed to make this the best birthday party!! Day of Party: You are allowed in the party room 15 minutes before the start of party for any decorations or treats that you have brought. The party will last 1 and half hours, and you will get 15 minutes after the party for cleaning and loading up. Host will be responsible for all party supplies including the cake, drinks, paper goods, and additional party favors. iNFINITY staff will be responsible for tables, chairs, table cloths and GOODY BAGS for all guests!! Cancellation: Deposits are non-refundable and non-transferable. Parties may be RESCHEDULED without penalty if done at least 2 weeks prior to the reserved date. Any cancellations made less than 2 weeks prior to the party date will result in the loss of the deposit. In keeping with gym policy, alcohol is not permitted at Infinity and will be strictly enforced.